Going Gone! is about a unique FBI team (Code Name: Trackers), the elite of the elite. Each has a secret, an extra edge, that defies reason and logic. An intricate scheme to abduct the children of the most powerful politicians on Capitol Hill gets disrupted when Kerry Branson, ex-homicide detective turned private investigator, inadvertently rescues one of the victims on a fog-laden backroad in the Piney Woods of East Texas. When Kerry discovers the six-year-old boy is the son of a U.S. Senator kidnapped from his Austin home, her call to the FBI is just the beginning of her problems. Pursued by a ruthless band of mercenaries who seem to know her every move, Kerry is forced into an uneasy alliance with the agent assigned to the case, FBI Tracker Ryan Barr. As the abductions continue, their search for the children will pit Kerry and Ryan against a formidable adversary who uses his wealth and political power to cloak a psychopathic obsession. His manipulation extends deep into the government even to the Office of the President. A horrific plan slowly emerges—one that has drug cartels and terrorist groups lined up to cash in. Anita Dickason is a retired Dallas Police Officer. 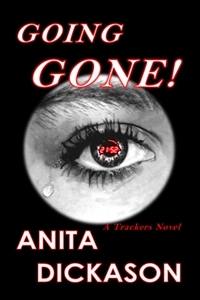 During—what she refers to as a phenomenal career—Anita served as a patrol officer, undercover narcotics officer, advanced accident investigator, and SWAT entry/sniper. Her first book, JFK Assassination Eyewitness: The Real Facts of Lee Bower’s Death, is non-fiction and details the reconstruction of a 1966 vehicle accident near Midlothian, Texas that killed a key witness to the Kennedy assassination. She continues to reside in Texas where she has launched another career: author and publishing consultant.